Quite often, the first step is the hardest one to take if you've finally decided that the next car you'll buy will have to be financed with auto loans for bad credit. 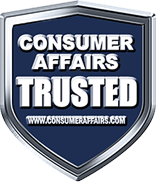 At AutosRentToOwn.com we realize this, because our company has been working with credit-challenged car buyers for over two decades. We've seen consumers with credit problems experience frustration and embarrassment when shopping for a car and applying for financing at a local dealer that is, quite frankly, either ill-equipped or too lazy to offer bad credit car loans. Every day, people tell us that they wasted hours and sometimes days in an increasingly frustrating attempt to find a dealer that could get them financed. In most cases, they learn that finding the right dealer if they need a bad credit auto loan is like looking for a needle in a haystack. Not only that, getting turned down at one of these car dealer can lead many buyers to a tote the note or we finance anyone car lot. And while they may end up driving a car from one of these dealers, it's a loan that won't help their credit scores or improve their car credit and a finance situation that often leads to repossession. 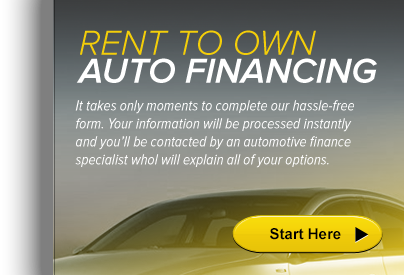 Just remember by landing on this page, be it for an auto loan or just to gather some information on the auto loan process, AutosRentToOwn.com is one of your top online recourses for anything auto loans. Our network of new and used car dealers is on stand-by, awaiting your auto loan request, apply today!